The RØDE Stereo VideoMic Pro on-camera microphone has been recognised as one of the best designed products of the year by the Australian International Design Awards at a recent black-tie presentation event in Sydney. In an evening where director James Cameron accepted the coveted Design Award of the Year for his Deepsea Challenger submarine, the Stereo VideoMic Pro was chosen as one of the select Design Award recipients from amongst a pool of more than 200 products as diverse as Semi-trailer trucks and espresso coffee machines. It was also specially recognised in the 2012 Powerhouse Museum Selection, for exhibition at Australia’s premiere institution for design. The Stereo VideoMic Pro was assessed by a judging panel of 24 international design experts from highly reputable organisations across all disciplines of design, and found to excel across all criteria including form, function, quality, safety, sustainability and innovation. 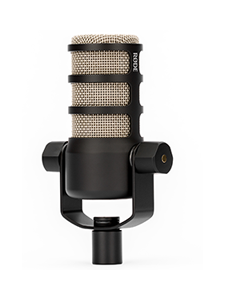 The panel noted that the microphone is a “competent, well integrated device with a novel suspension system and improved lifecycle”. 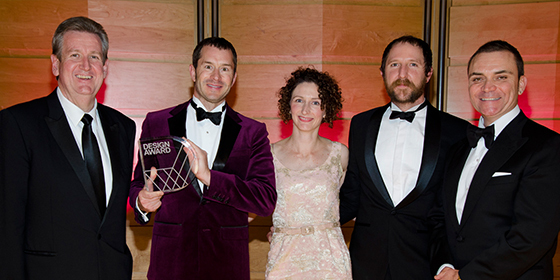 RØDE’s VP of Product Design and New Product Development, Peter Cooper, accepted the Design Award on behalf of RØDE, alongside lead product designers Sam Trewartha and Lisa Gyecsek. 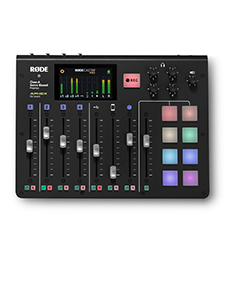 The accolade comes just months after RØDE opened a self-sufficient design studio in the heart of Sydney city. 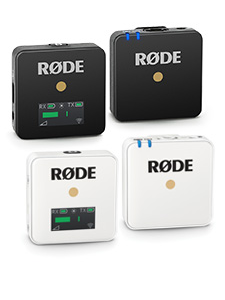 Titled RØDEWORKS, the studio is responsible for creating RØDE’s future product direction. Presented by Good Design Australia, the Australian International Design Awards is Australia’s oldest and most prestigious program that recognises and rewards good design. By rewarding companies that differentiate their products and services through design, the Design Awards aim to raise awareness of the importance of good design, encourage greater demand for well-designed products and propel Australian design to the world stage. Released in January 2012, the Stereo VideoMic Pro is designed to be mounted atop Digital SLR cameras to provide stunning, immersive stereo sound direct to camera.